Over 220 children and parents attended the first ever Inspire STEAM Expo on Saturday, January 23, 2019. Organized by ASCE YMF, the Expo was designed to encourage the youth of the next generation to pursue career paths in science, technology, engineering, arts, and mathematics. 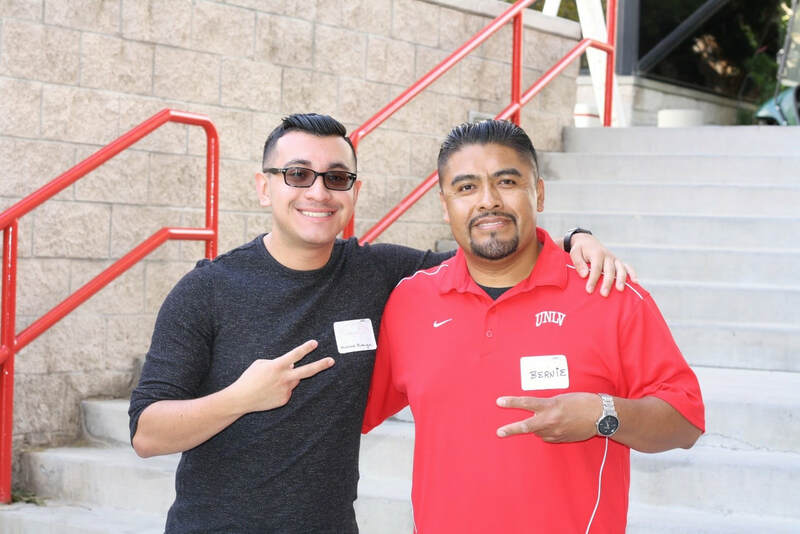 The event invited multiple math and engineering-focused organizations from around the Valley to collaborate in a shared space that allowed them to promote their unique vision of what it means to be an engineer to children of all ages. To complement ASCE YMF’s continued commitment to community engagement, the Expo also featured an integrated food drive with proceeds donated to Three Square, a local food bank aiding community residents battling with hunger across Southern Nevada. At the conclusion of the event, two and a half 55-gallon donation barrels were filled with food and essentials, and $106 in cash and online donations were collected. 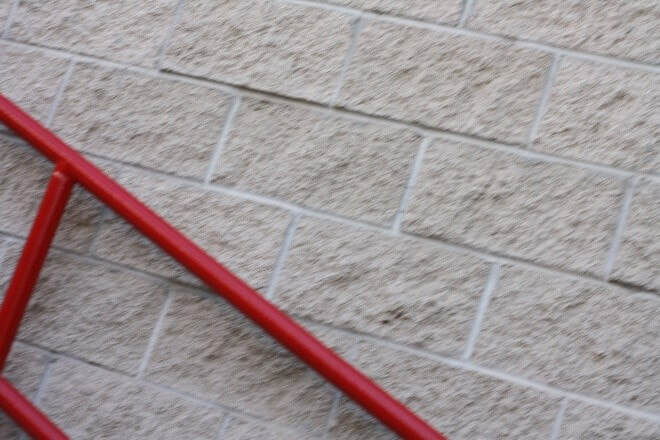 For every $1, Three Square can provide up to three meals for an individual in need. Several screenings of the award-winning film, “Dream Big: Engineering Our World”, were shown at the event to the inform the attendees about the important work engineers do and the pivotal role they play in societal functions. To give kids a taste of what engineering and science involves, the STEAM Expo included various hands-on activities such as a wind-powered lift station, a train levitating on magnetic tracks, and a shake table to simulate structures withstanding earthquakes. 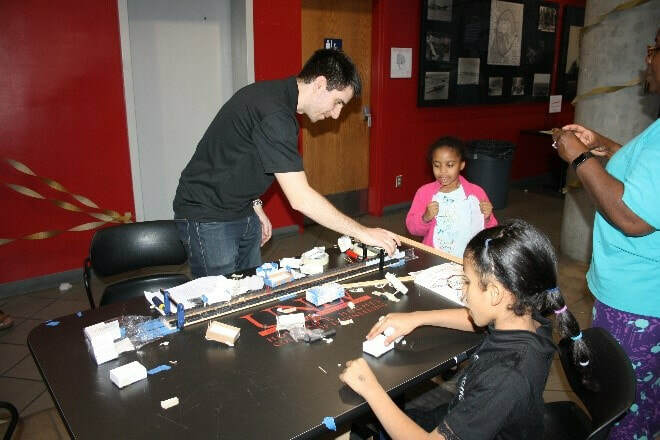 ASCE YMF member, Iani Batilov, teaches kids about the mechanics of the MagLev train. The attendees were also offered a wide range of unique activities and opportunities offered by the attending partner organizations. Mathcounts and Andson Money handed out flyers with information on the competition and services their respective organizations offer. The Future City competition was showcased with the display of the award-winning and nationally qualified model city, Liang Firix, designed by local middle school students from Hyde Park. Team mentor, Jane Burge, was present to answer questions about the program. The Student Model Bridge Building Contest (SMBBC) taught students bridge design principles through a paper bridge making activity and shared information on their competition program that included a wood bridge model on display. The National Society of Professional Engineers (NSPE) instructed the kids on how to assemble large arch bridges and flying hoop gliders. 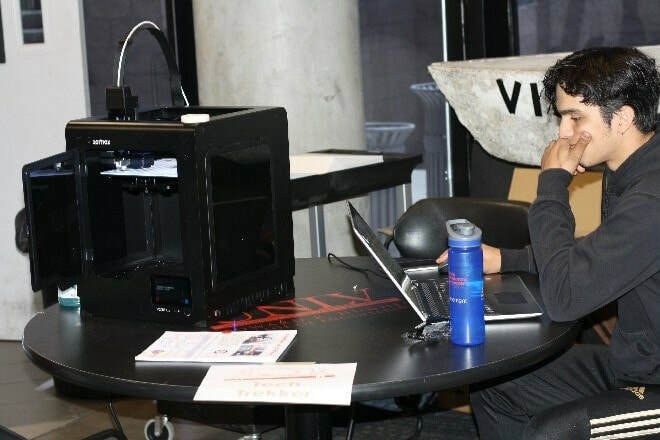 UNLV’s Tech Trekker program, organized by Dr. Erica Marti, was also on hand to demonstrate their mobile science and engineering activity workshop that included lessons and activities such as solar power, water filtration, and 3D printing. FIRST Robotics was also present to showcase LEGO robotics kits and a local high school team’s robot on wheels. The Expo also offered STEAM-inspired raffle prizes to the kids as a token of appreciation for donating to the Three Square food drive. 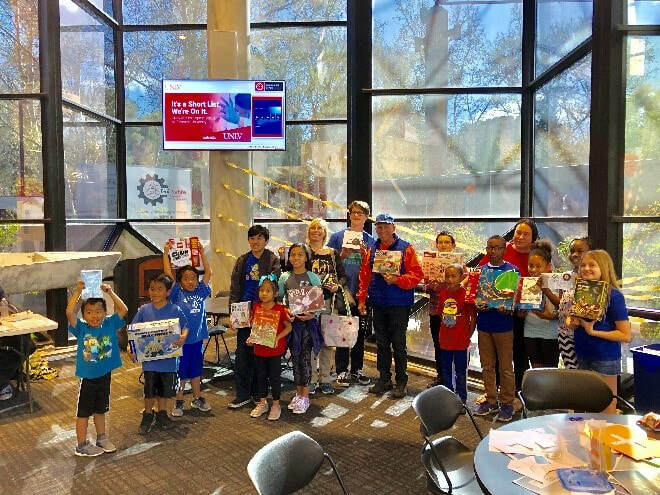 Prizes such as copies of the Dream Big film, K’NEX sets, a LEGO replica of the Las Vegas Strip, a drone, and more were awarded to the lucky raffle winners! Happy faces all around as the winners cheesed it up after winning their raffle prizes. The Inspire STEAM Expo brought together organizations, willing volunteers, and excited attendees, where the most rewarding experience for all was the possibility of inspiring the next generation of fantastic engineers. ASCE YMF would like to thank NSPE-NV, FIRST Robotics, Future City, Mathcounts, SMBBC, Tech Trekker, Andson Money, and Three Square for their help and participation in the Inspire STEAM Expo. YMF would also like to thank UNLV’s College of Engineering for providing the venue for the event and the ASCE Student Chapter members for their help and coordination with UNLV. Special thanks to Stephanie Asao for graphically designing the posters for the event and Bernie Espinoza for taking photos. Last, but not least, thank you to all the volunteers who sacrificed their Saturday to participate in this outreach event. Without the volunteers, this Expo would not have been possible. ASCE YMF hopes to see everyone again next year! 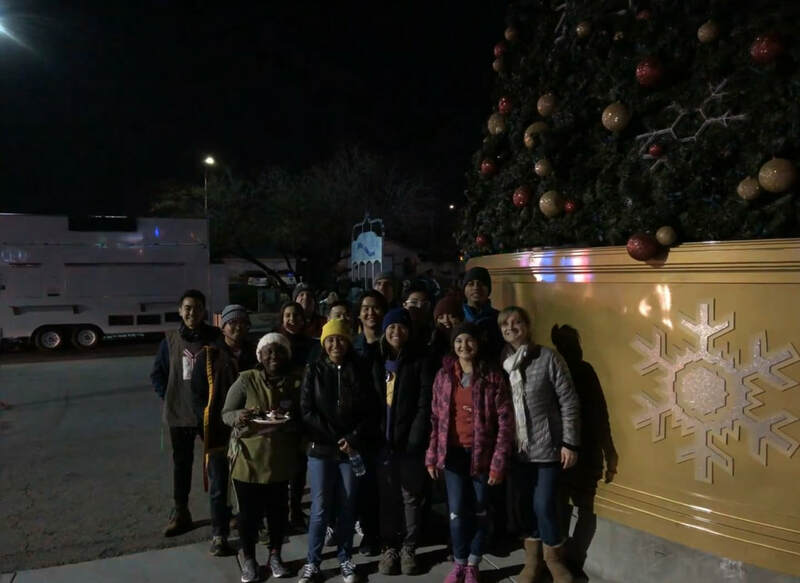 This past December 15th, more than 15 volunteers from both ASCE YMF and the UNLV Student Chapter came out to support and volunteer at the annual Magical Forest event organized by Opportunity Village, the not-for-profit organization serving to enhance the lives of adults in the Southern Nevada community with intellectual disabilities. 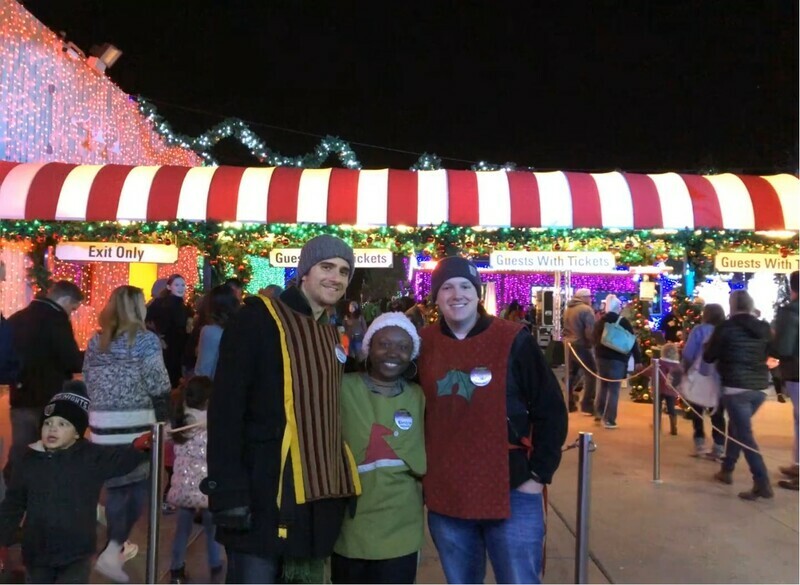 Magical Forest is a winter wonderland organized for the community that boasts millions of sparkling lights, nightly entertainment, amusement rides, great food, and endless holiday cheer. Saturday nights are among the busiest times for Magical Forest and the organizers needed all the help they could get! After checking-in and receiving their assignments, our volunteers participated in various roles. Some volunteers were stationed at the entrance as greeters, answering questions and directing visitors to the ticketing and check-in lines, while others manned a concession stand serving up hot funnel cakes all evening. 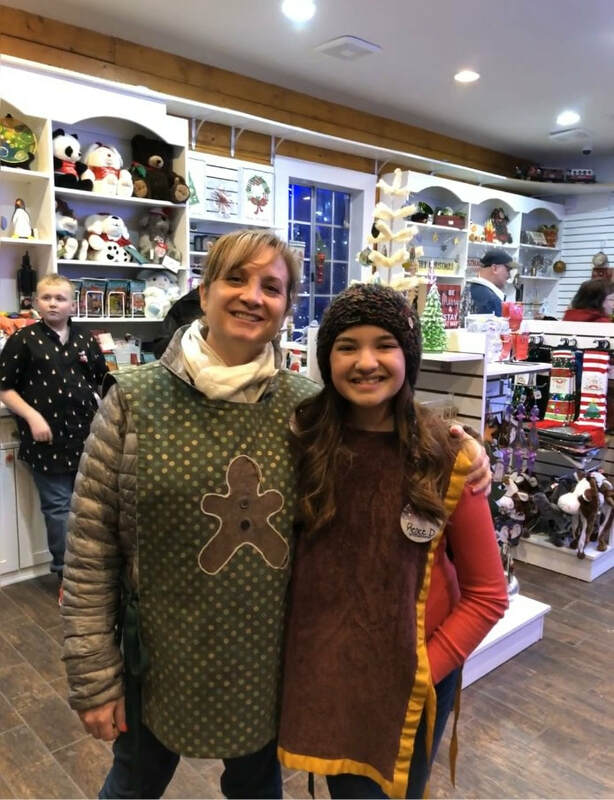 The volunteers also helped in the souvenir and candy shop, and some worked at both the carousel and polar express train rides. 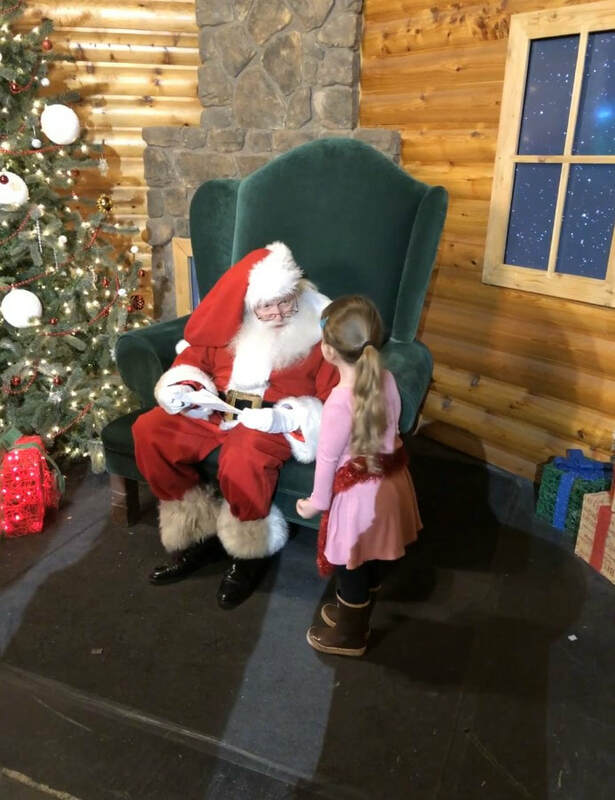 ​We were lucky enough to have two volunteers stationed with Santa Claus himself in his workshop, helping direct the families that came to take pictures and recite wish lists with the jolly Father Christmas. 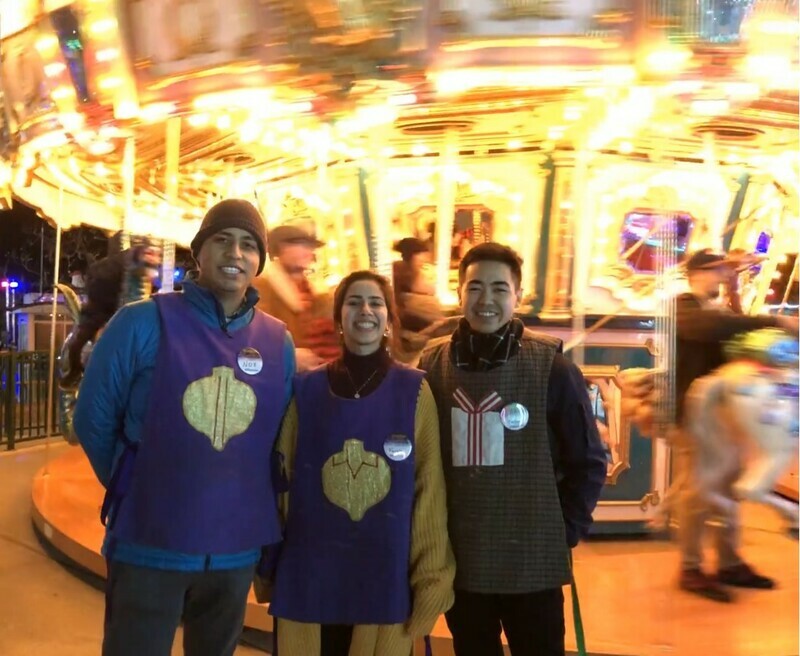 It was a chilly and long evening, but all our volunteers worked hard, adorned in their holiday vests and beaming with festive spirit and willingness to serve the guests. 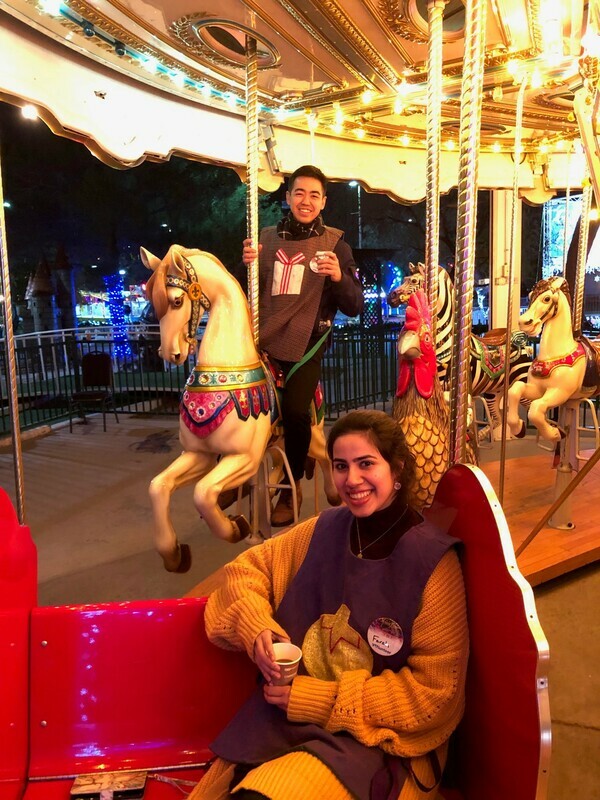 At the end of the night, many got to try the rides or sample the funnel cakes, and each volunteer walked away with two free tickets to attend the Magical Forest with their loved ones. Special thanks to the ASCE YMF members, ASCE Student Chapter members, and employees of local civil firms for sacrificing their Saturday night to participate in the Community Outreach Event! Your help is much appreciated, and we hope to see you again at next year’s Magical Forest! Happy Holidays! 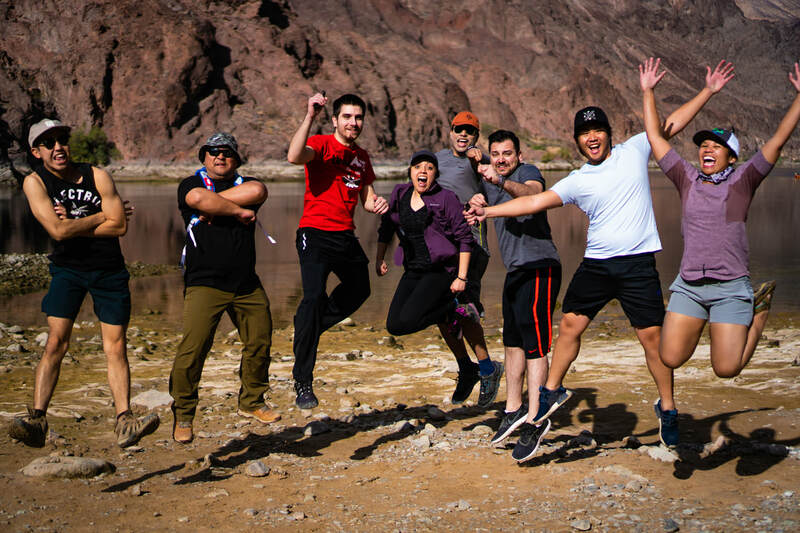 ​On Saturday, October 27th, the Las Vegas YMF and the UNLV ASCE student chapter participated on a group hike to the Arizona Hot Springs along the Colorado River. An adventurous group of eight ASCE members met bright and early to carpool from Las Vegas to the trailhead just east of the world-famous Hoover Dam. Once at the trailhead, the group of eight adventurous engineers began the seven mile trek down to the Colorado River. Along the way, everyone was able to take in the fantastic canyon views and leap/climb over boulder obstacles. Once the group reached the Colorado River, everyone took a small break and took the time to wade in the river and take some fantastic group photos. 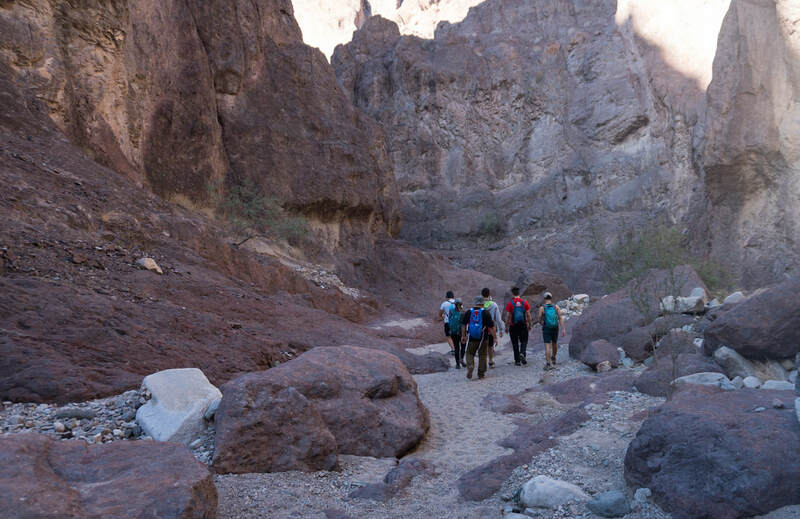 ​After the quick river break, the group continued on their quest to reach the Arizona Hot Springs. Before reaching the final pools of geothermically heated water, the group had to traverse up one final obstacle - a National Park Service furnished aluminum ladder! 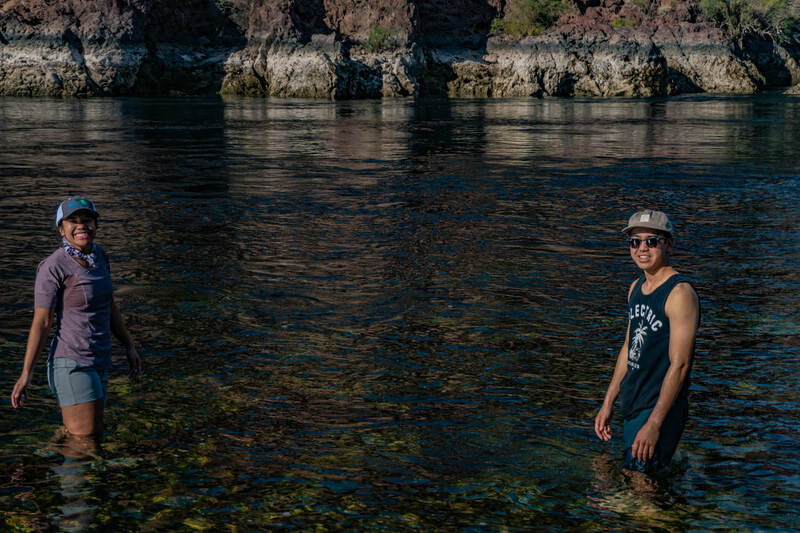 Once in the hot spring pools, the group made their way slowly higher and higher into the hot spring canyon with each successive pool becoming hotter and hotter.